If you are over a certain age, you probably remember having a bicycle when you were a kid. Not a full suspension, 27 speed mountain bike, or a drop bar road bike, but a bike. Probably a Huffy or Schwinn or something similar. Your parents bought it at the local hardware store, or if you were lucky, at a real bicycle store, or maybe, it was on page 65 of your favorite holiday catalog that came to the house. Regardless of where it came from, it was a single speed, coaster brake equipped affair. You decorated it for the 4th of July with streamers and pinwheels. You rode to school on this bike and everywhere else you could think of to go. You often carried friends sitting on the handlebars (we called that "boosting"), or standing on "pegs" that were screwed onto the rear wheel axle protrusions. It was heavy with thick balloon tires and a saddle with springs. But it was a bike - it was YOUR bike and you loved it. You rode it everywhere and it didn't matter if the road or path was paved or not. It was your ONLY bike. Today, kids aren't so lucky. Yes they make mountain bikes and road bikes and crossover bikes, but like everything else in life today, so much of what we consume has become specialized. Marketing tells us that we can't ride our road bike on gravel roads - we need a gravel bike - or on trails because for that we need a mountain bike. And heaven forbid that we commute on any of these bikes - we need a commuter bike. Well, that is where the Brompton comes into this story. 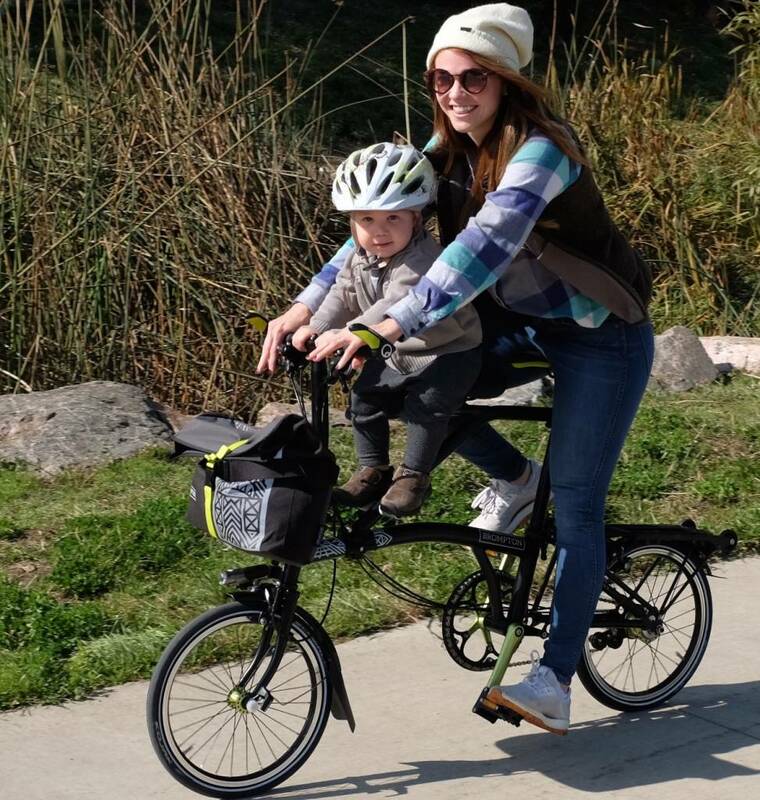 The Brompton is like the bike you may have had when you were a kid. A bike that does it all - maybe not as well on the road as a dedicated road bike, or as well on dirt roads as a gravel bike, but it works pretty darn well in most situations. My shop is here in Boulder, CO and most of my customers already have a garage full of bikes for all occasions. They buy the Brompton for an upcoming trip they are taking. Six months after returning from their trip they come in and tell me that they don't ride their other bikes much anymore. They use the Brompton for everything - shopping, commuting, exploring country roads, etc... It seems to simplify life which is really my main objective here at Freedom Folding Bikes. It is also the unintended consequence of owning a Brompton.